There was tension at Bingu International Convention Centre (BICC) in Lilongwe Tuesday during the launch of official campaign period for the May 21 2019 Tripartite Elections. Malawi Congress Party (MCP) and Democratic Progressive Party (DPP) supporters, who came to the function clad in party colours, were involved in verbal exchanges as the function was in progress. 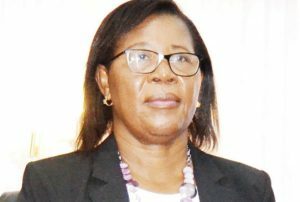 The chaos erupted when Malawi Electoral Commission (Mec) Chairperson, Jane Ansah, was distributing copies of the Communication Strategy to electoral stakeholders. DPP and MCP cheered their preferred stakeholders and jeered a stakeholder they seemed to dislike. Some of the stakeholders the supporters jeered were chiefs. For some minutes, the launch was interrupted as Ansah was seen consulting officials from Mec and political parties. She later condemned supporters of the two parties. “This is the launch of the official campaign period. It is a Mec function. MCP and DPP are causing problems. If you continue, we are opening the doors and you must march out,” Ansah said. At that point, Mec invited officials from the two parties to talk to their supporters. MCP secretary general, Eisenhower Mkaka, appealed to the supporters to be calm. “The reason Mec called us is to show that we can co-exist. Let us allow the function to proceed peacefully,” Mkaka said. DPP deputy secretary general, Aaron Sangala, made a similar appeal. 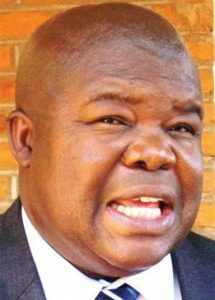 “I would like to ask all DPP supporters to be as peaceful as they have always been,” Sangala said. Ansah thanked the two officials for controlling their supporters. She, however, expressed concern over the supporters’ behaviour towards chiefs. “The chiefs have complained that you booed when their names were being called. You have to respect them,” Ansah said. Apart from representatives of political parties who were allowed to attend the function in their parties’ colours, development partners and members of the clergy were also in attendance. There were also prayers during the launch. Nkhoma Synod Deputy Secretary General, Revered Brian Kamwendo, said, since the launch of the electoral calendar, they have been observing what was happening. He thanked the stakeholders for the work done so far. In her speech about the launch of the campaign, Ansah said all candidates and political parties are expected to follow procedures when booking venues, further urging them to focus on issue-based campaign and avoid using the youth to incite violence. She also appealed to security agencies such as Malawi Police Service to do their work professionally. “In determining credibility of elections, observers and experts do not look at the electoral commission alone but also the conduct of stakeholders and the police are just part of that. If police officers do not perform their duties professionally, that can easily erode the efforts of all other stakeholders to have credible elections,” she said. The campaign was launched under the theme ‘Consolidating Democracy through Peaceful Campaign’. The campaign period runs from March 19 to May 19 2019.